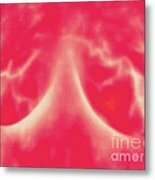 There are no comments for Thermogram Of Lactating Womans Breasts. Click here to post the first comment. 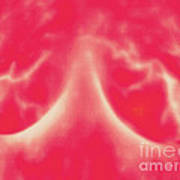 A thermogram of the milk producing glands in a lactating woman's breasts. 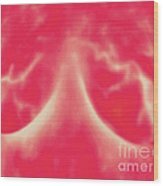 This is a normal healthy breast. The temperature range goes from hot (white) to cold (blue). 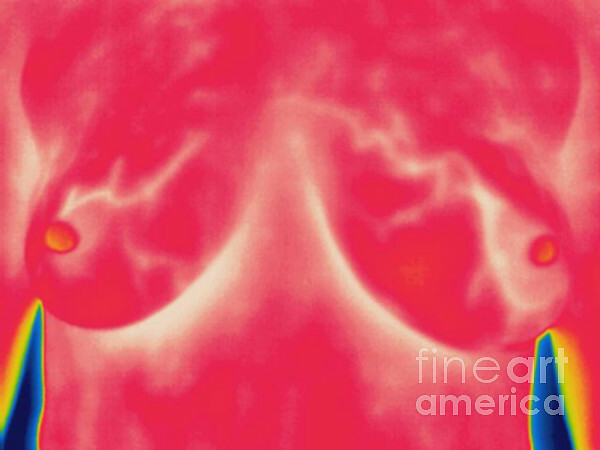 Thermography is a technique for visualizing the temperature of surfaces by recording the emission of long-wavelength infrared radiation. This heat radiation is detected electronically and displayed with different colors representing different temperatures.